The Inspector-General Of Police, IGP Idris gave Nigerians what to cheer about since two days ago and the video of the police head struggling and stammering during his speech delivery in Kano State has been trending like wildfire for more than 24 hours now. Where did president Buhari bring this people biko nu? The Presidency has however reacted to the viral video of the Inspector General of Police, Ibrahim Idris, struggling to read a speech at an event in Kano. 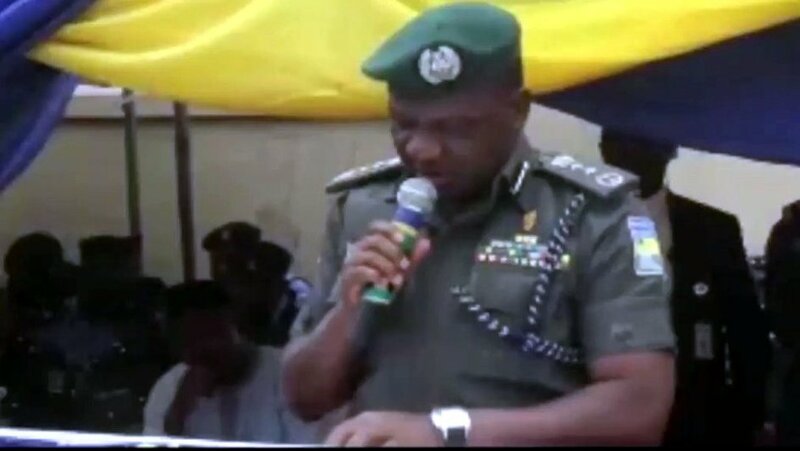 In the footage, IGP Idris, who was in Kano on Monday to commission the Police Technical Intelligence unit in the state, stammered consistently as he struggled to pronounce words.